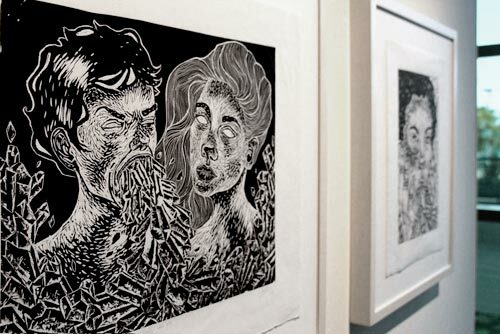 Featuring more than 20 artworks by eight young artists from the contemporary woodcut scene in Brazil, the exhibition Madeira Nova [New Wood], curated by Célia Barros, can be seen until February 17, 2019 at the Arts Space of Sesc Santo Amaro in São Paulo. 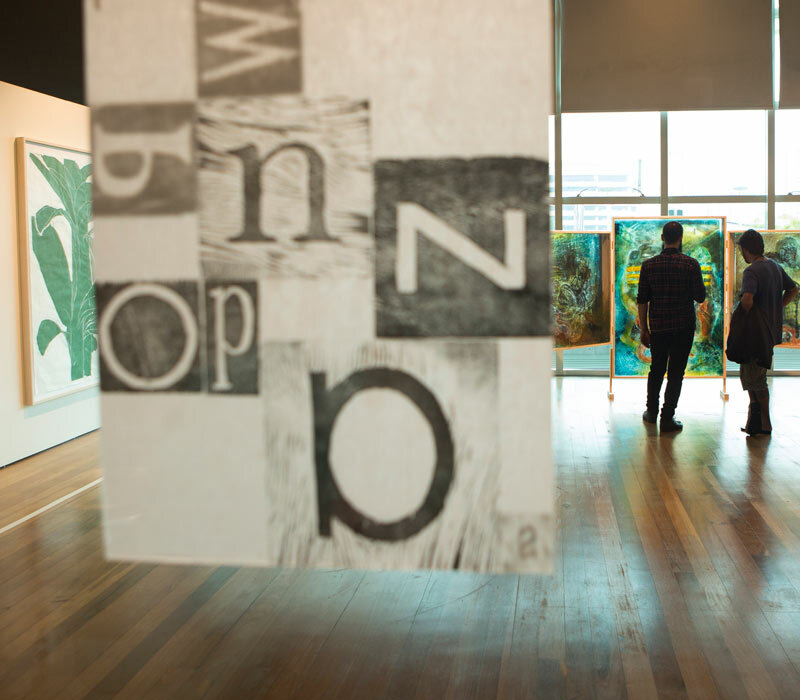 The artists participating in the exhibition Madeira Nova are Santidio Pereira, Luisa Almeida, Kamila Vasques, Igor Santos, Julia Bastos, Gabriel Balbino, Rafael Pinto and Fernando Melo. They share in common researches directed to the large-format image, seeking to innovate in the printing materials, with new possibilities of language and a focus on aesthetic investigation. Most of the artworks are being shown here for the first time. The reproduction of images through the use of wooden printing blocks began gaining more practitioners in Brazil during the 19th century – there are no reports concerning the previous use of woodcut printing in the Brazilian territory, since the Portuguese did not allow any sort of press in their colony. But from the end of the 19th century onward, it is possible to find some works made with this technique, such as the cordel literature. But there are many other ways that woodcut is used in Brazil. 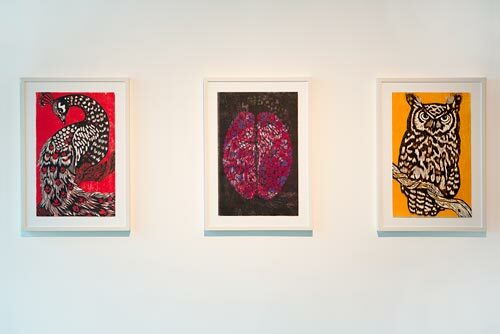 “Currently renowned artists have used woodcut as their main source of aesthetic investigation. After a boom in woodcut using the technique of wheat-paste posters, which occupied the public spaces of the city of São Paulo in the 2000s, more recently the collective movements of printmaking have been dedicated to print fairs, with euphoria and excellent results, giving rise to new partnerships in editorial projects, forming new circuits and markets for contemporary printmaking,” points out curator Célia Barros. 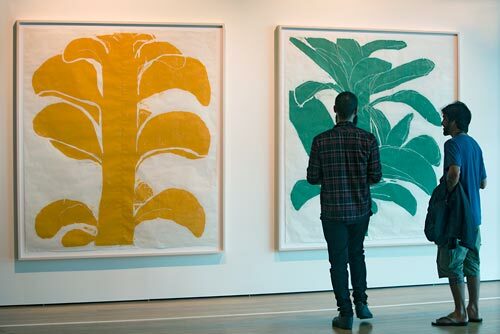 Initially, she called two artists – Santidio Pereira and Luisa Almeida – who had already participated in exhibitions and galleries, and asked them to each invite another young woodcut artist, who invited another two, and so on. This gave rise to Madeira Nova, which presents the evolution of this language that springs from the most popular contexts, but which currently transits in academic settings as well. The engravings by Santidio Pereira, a great admirer of Henry Matisse, are the starting point for this exhibition. 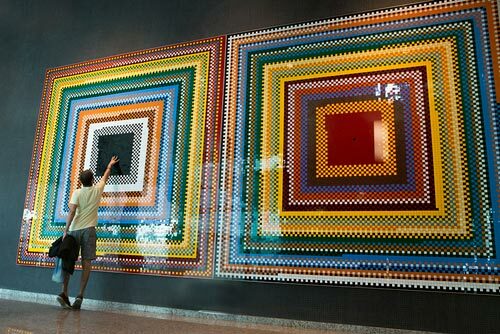 Generally the artist makes use of the overlaying of colors, having become known for his large-format woodcuts depicting birds of the state of Piauí – his birthplace and the source of his imagery. In this exhibition, Santidio is presenting his most recent work. Fascinated by television programs, Gabriel Balbino portrays animals as symbols of strength and resistance, as is the case of the porcupine, who managed to vanquish a python. Participating alongside Santidio are Igor Santos and Fernando Melo, from the XILOCEASA artist collective, a group formed by 17 teens from the Favela da Linha, Favela do Nove and from the Cingapura housing complex located in the vicinity of CEAGESP. For years, they have attended the woodcut course of the Ateliê Acaia, an institution directed by visual artist Elisa Bracher, which offers educational and professional training courses to more than 320 children, youths and adults in those three communities. Together, they take part in solo and group shows, in cultural exchanges in Brazil and abroad, and in print fairs. Igor Santos was recommended by Santidio for being a great draftsman – they have both attended the workshops of Instituto Acaia since they were eight years old, in São Paulo’s West zone. There, under the orientation of Fabrício Lopez and Flávio Castellan, the artists developed a poetics all their own. Igor’s, for example, portrays animals, drawn directly in the wood with a gouge to take advantage of its natural grains. 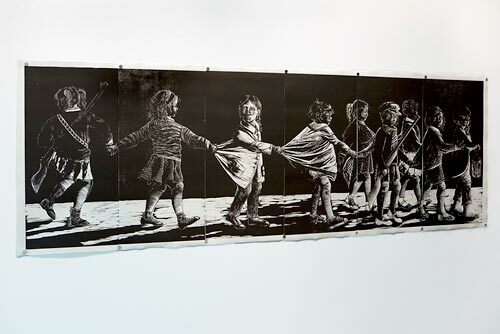 Fernando Melo explores different engraving media and cultivates the study of drawing. The themes of his compositions change according to what he wishes to express. The favela and the difficulties in the community are present, as well as gloomier architectures. Another artist selected directly by Célia Barros was Luisa Almeida, who brings her women to Madeira Nova. The characters of her works are simultaneously sweet, sensual and strong – and many of them hold weapons and show force in the theme of political struggle, but also a great deal of delicateness in the details of the composition of the scenes. They are clean, clear lines, which show the precision and technique of making the cuts in the wood. 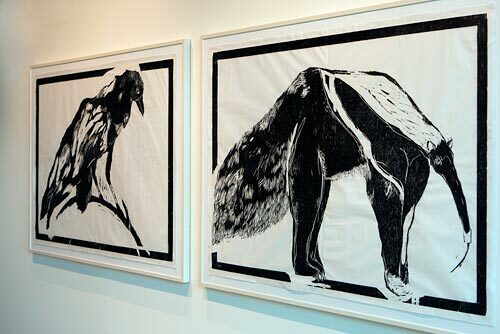 Kamila Vasques, who holds a degree in visual arts with an emphasis in woodcut from the Centro Universitário Belas Artes in São Paulo, was an artist in residence at Museu Lasar Segall in 2009. Kamila uses words – text, images, prints and drawings – to create paths open to the viewer’s interpretation. What interests the artist is not so much deciphering the text, but finding meaning in each letter, where the form is already all the content, empowering the letter as an image. The figures of Julia Bastos are striking. Printed on rice paper, two of her artworks present images of people regurgitating crystals, while in another we see many fingers spread over the canvas, covering the body of a reclining woman. For the artist, expelling crystals expresses the rejection of what the body consumes, but also the wish to become free from what does not belong to it. The disconnected fingers, all pointing to a body entirely lacking in expression, suggests a faceless society, full of violences against the woman’s body. Using the overlaying of transparent planes, Rafael Pinto uses the fear that the “big city” provokes to explore the formation of graphic noises. His figures transit between the morbid, the incisive and imminence. © Image Top: Madeira Nova exhibition view, photo by Evelson de Freitas.